President Edgar Lungu is this week out of the country again after spending the whole of last week in New York where he was attending the United Nations General Assembly. 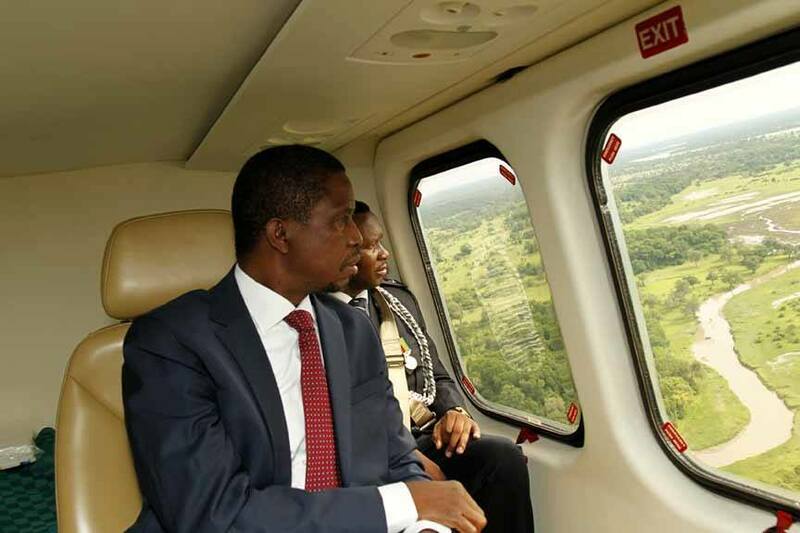 On average, President Lungu flies out of the country at least once per week. The other week before flying to US, he was in South Africa. Before that he was in Swaziland. Yesterday, he left for Angola to attend the inuguration of the new president of that country. From Angola he is expected to fly to Congo DR.
President Lungu has been criticised for taking many foreign trips which cost the country alot of money which should have gone to needy sectors in a country where the majority of the people live on less a dollar per day. Some citizens now call him as Mobile President while others are wondering as to whether he has an office at State House. ” MR mobile president, does this guy has an office or not? Does he know how to use a computer? Am wondering so much, ninshi pa state house pa baba or what? How many times has Edgar traveled out from 2016? This man has embarrassed Zambia, even mugabe he doesn’t just travel like that! Doesn’t he have minister who can do simple jobs? Twasebana pa zed sure, kamwendo munjila sure? Mwamona nomba putting people in power who doesn’t have any vision. Look at him now? Yaba.” says Muyayaba Hadunka. Some critics say he is following the footsteps of his godfather, former President Rupiah Banda who among other things was kicked out of office in 2011 for reckless spending on foreign trips and allegations of corruption. This is not good for Zambia’s economy certainly! If it was a Foreign Minister travelling like this, one may probably understand because a Foreign Minister does not carry a large delegation when he travels. Further more, Mr Lungu should learn to use his Ambassadors and High Commissioners to cut on these experiences! Why did he appoint them? Mr President, we know you are very hard working but at times learn to delegate; it would save you time, energy and money. I was very disappointed with the parting kind of delegation that you came with to Swaziland. You chaps have double tongues: if he is not travelling out for some consultations e t c, you would call him MR. STATIC PRESIDENT WHO CANNOT GET SOME KNOWLEDGE FROM OTHER LEADERS. Umwana ashenda atasha banyina ati ebaishiba beka ukunaya ubwali. Self imposed limitation chaps.